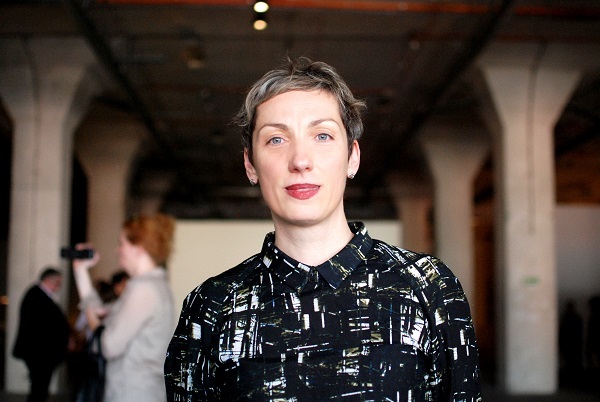 Project Arts Centre is delighted to announce the appointment of Lívia Páldi as the new Curator of Visual Arts. Born in Budapest Lívia Páldi has held a number of key positions including; Director of BAC – Baltic art Center, Visby, Sweden (2012- 2015), Chief Curator of the Műcsarnok / Kunsthalle Budapest (2007 -2011), as well as co-founding the Institute of Contemporary Art, Dunaújváros (Hungary). Project has a long and proud history of visual arts practice and remains dedicated to supporting and developing contemporary arts practice in Ireland and abroad. The Curator of Visual Arts at Project is core part of the team, responsible for developing, delivering and managing the visual arts programme in keeping with the vision of the organisation. This is a key appointment for Project as it enters an important new phase of its development following its 50th anniversary. Lívia will join an expert team dedicated to supporting artists in every art form, at every stage in their career, to make and present extraordinary work. Lívia Páldi will commence her three year term as Curator of Visual Arts at Project in March 2017. Lívia Páldi – Was born in Budapest and was director of BAC – Baltic art Center, Visby, Sweden between 2012 and 2015 and previously chief curator of the Műcsarnok / Kunsthalle Budapest between 2007 and 2011. She has organised talks, discussions, workshops and numerous exhibitions. Lívia Páldi was co-founder of the Institute of Contemporary Art, Dunaújváros (Hungary) and its co-director from 1997 and 1999. She has also edited several books and exhibition catalogues and was a contributing editor of the East Art Map magazine and book organised by the artist collaborative IRWIN in Ljubljana (2002–2005). Páldi has participated in the Curatorial Training Programme at De Appel in Amsterdam and was one of the curatorial agents of dOCUMENTA (13). During 2016 she was member of the OFF-Biennale Budapest curatorial board.